Once you have the digital photo files uploaded to a computer, it’s easy to copy to another folder, print, share to social media or image hosting sites, save to local backup, save to personal cloud storage service, and/or save by using an online backup system. You spent the time taking and preserving all of these memories; the backups help ensure that copies will always be there in the future for those who want to see them. And with some practice, you can edit and cleanup photos and have new prints made. The photo scanner remains one of the most popular ways of digitizing photo prints and images. All it requires is hardware (you’ll want a quality document/photo scanner), a computer or laptop, and ample time to process and save the pictures. It can be done in the convenience of your own home–or anywhere with a portable scanner. You often have the option to retouch images before performing final saves. If you don’t yet own one, there are considerations when choosing a photo scanner. Some are slim and compact, while others are bigger due to having both a flatbed and a document feeder for scanning. Some come with adapters that let you scan negatives, transparencies, and slides, while others do not. Scanners also have hardware specifications capable of varying levels of resolution and color depth. That last step is very important. Any smudges, fingerprints, lint, hair, or dust particles left on photos or the scanning surface will show up in the digitized image. Soft microfiber cloths and cans of compressed air are useful for safe cleaning. Once that’s done, you’re all set to create and edit digital photos from scanning physical prints. The downside of this method is that it can be a time-consuming process to scan, edit, name, save, and organize all of the photo files. But at least you have full control without having to spend a dime. For the do-it-yourself approach, a photo scanner delivers the most high quality and consistent results. However, digital cameras — and even smartphones and tablets with high megapixels — can work in a pinch to scan photos. Although most digital mirrorless and DSLR cameras have a variety of scene modes to choose from to best match shooting situations, some advance preparation will be required on your part. When using your digital camera as a scanner, you’ll need to pay extra careful attention to a few aspects. Lighting: Ambient light should be as even across a photo’s surface as possible with minimal (if any) glare and no shadows. The temperature of the light source is also important for accurate color reproduction; many digital cameras can automatically compensate (white-adjust) for this. Stability: If you want to create an archive-quality copy of a photo with a digital camera, don’t assume you can do it by hand. The slightest body movement can throw off focus and perspective–foreshortening is what happens when the reproduced image looks like a trapezoid instead of a rectangle with perfectly squared corners. A tripod will help guarantee that the camera lens stays parallel to photos, and using the self-timer function (a remote shutter can also work) will eliminate shake. Quality: Be sure to double check your camera settings so that it’s set to the highest/superfine resolution (when in doubt, shoot in RAW), lowest ISO, and moderate/high aperture (f/5.6 or more). You can bracket your shots (i.e. one normal exposure, one at a higher f.stop, one at a lower f.stop) for each photo, since it’s easier to judge exposure on computer monitors than camera LCD screens. As long as imperfection isn’t a big deal — archive copies can always be created later on — you can turn a smartphone or tablet into a scanner. Some camera and/or image editing apps offer white balance adjustment, auto color correction, foreshortening compensation, and a host of other helpful tools. Others, such as PhotoScan by Google Photos (available for Android and iOS), are specifically designed to create and enhance digital photo scans from mobile devices. To transfer photos from a digital camera or smartphone/tablet to a computer, you can either use the product’s data/sync cable or a separate memory card reader. Once a device/card has been connected, simply navigate to the DCIM folder and copy all the files to your computer. If you don’t have a photo scanner and aren’t interested in using a camera/smartphone to digitize photo prints, you can always visit a local retail store. Places such as Walmart, FedEx, Staples, Walgreens, Costco, Office Depot, Target, CVS, and others offer photo scanning kiosks and/or drop-off services. Prices, quality of scans, turnaround time, and the amount of help you get from store associates (i.e. if you’re not very familiar with scanners/kiosks) can vary. When it comes to developing film/negatives, be sure to ask about the details first. While many of the aforementioned companies can process prints and digitize images, some won’t return your original film/negatives. Scanned photos from retail stores typically come on a CD, DVD, or flash drive. In order to upload photos to the computer, place the CD/DVD into the optical disc drive; flash drives plug into an open USB port. Navigate to where the files are stored on the media and then copy them to the desired folder on your computer. You can put the physical CD/DVD or flash drive in a safe place as an extra backup. The alternative to visiting your local retail store (and from doing it yourself) is an online photo scanning service. You can find hundreds of these types of sites, all with varying prices, shipping requirements, quality, turnaround time, enhancements/specialities, etc. 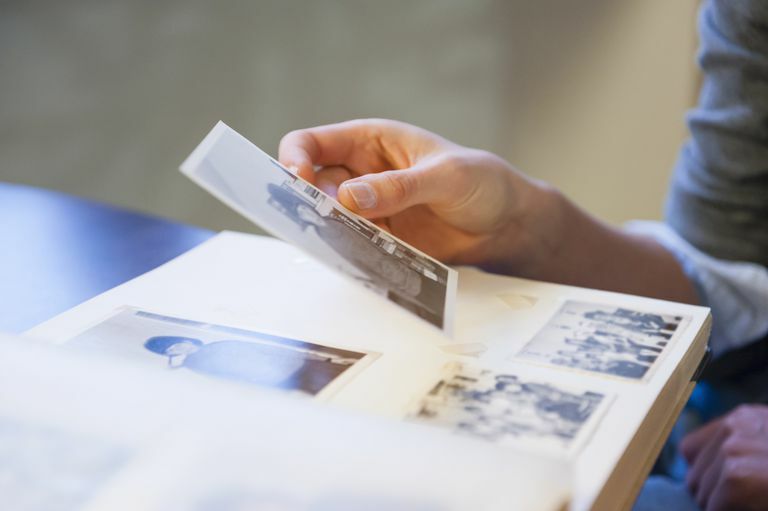 If you want to guarantee the best results, particularly if you have old and/or damaged photo prints in need of digital restoration, online services will far exceed what you would get from a retail store. Although online services tend to cost more than your local retail, you can expect a higher-overall quality of scans that won’t disappoint.